Breathe some life into your event sponsorship options. 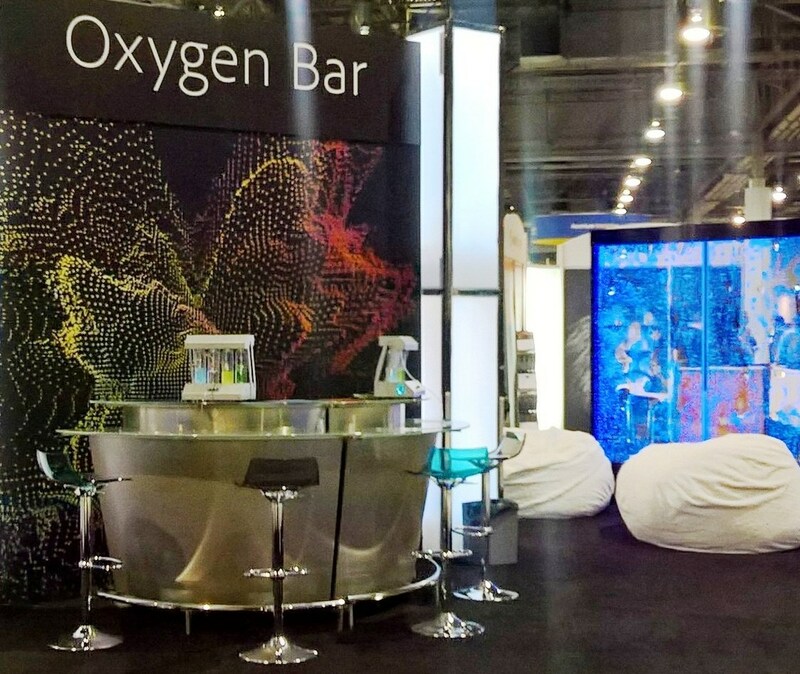 Oxygen Bars are fun, encourage socializing and networking and more importantly, they re-energize convention attendees and exhibitors so they can go the distance. Our Oxygen Bars accomodate 8-10 people with optional seating, have backlit panels, 10 foot of counter space and oxygen delivery carousels, all of which are available for sponsors’ corporate branding.